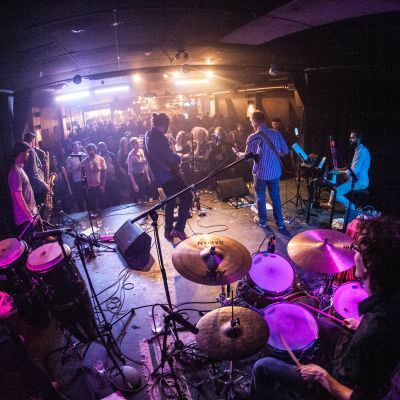 APOLLO SUNS were born from the fusing of eight Winnipeg, Canada based musicians who have created a refreshing and innovative sound combining instrumental, jazz, rock and psychedelic music. Apollo Suns is a horn fueled 8 piece psychedelic jazz rock band. Danceable grooves, Tight horn arrangements and high energy shows will leave the audience no choice but to dance all night long.